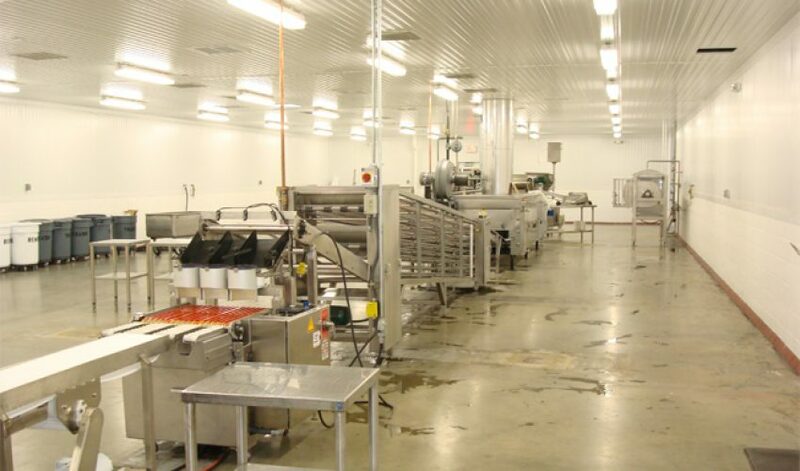 AMT was contracted to design the plant layout of several Gruma Corporation manufacturing sites Gruma Corporation: Lawrenceville, GA; Goldsboro, NC; Charlotte, NC; and Lakeland, FL. Gruma is the global leader of corn and flour tortilla production worldwide with brands such as Mission and Guerrerro. With buildings ranging from 10,000 sq. ft. to 100,000 sq. ft., the industrial design, structural engineering and mechanical, electrical and plumbing (MEP) design were successfully developed and included both offices and production areas. A strategic super structure within the environmentally conscious company’s warehouse at each location was designed with concrete and insulated panels for walls, distinct ceilings with specialized lights, and new technologies for recycling air, regulating humidity and isolating moisture using a creative combination of conventional components and energy recovery machineries. AMT was able to meet the needs of the client who has a long standing tradition of social responsibility and sustainability. ©Copyright 2016 Armentrout • Matheny • Thurmond. All Rights Reserved.